1 YRS Chengdu Lafs E-Commerce Co., Ltd.
And our annual sales volume of product is more than 2 million pairs per year. 4.When can you send me the shoes after payment9 Around 15~30 days arrording to order qty. 6. What is your guarantee9 Before shipment our shoes will pass strict inspection. 1 YRS Guangzhou Fende Trade Co., Ltd.
You now have the chance to avail of heavy discounts on all these options. You can choose other colors according to the the color swatch. As you know, hundreds of our clients ask for samples each Month, it's a heavy burden for us. 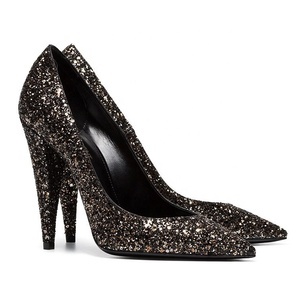 Alibaba.com offers 1,031 spike heel shoes products. About 30% of these are women's sandals, 2% are safety shoes, and 1% are women's slippers. A wide variety of spike heel shoes options are available to you, such as free samples, paid samples. 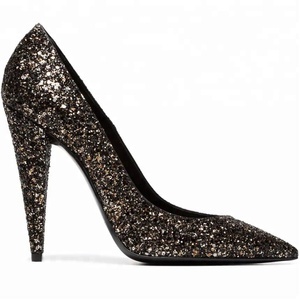 There are 1,031 spike heel shoes suppliers, mainly located in Asia. The top supplying country is China (Mainland), which supply 100% of spike heel shoes respectively. Spike heel shoes products are most popular in North America, Western Europe, and South America. You can ensure product safety by selecting from certified suppliers, including 19 with ISO9001, 16 with Other, and 7 with BSCI certification.